WØEA Blog! : Moving yet again! We're finally putting down roots here in Texas. A week or so ago, we had an offer accepted for an awesome house in the Dallas suburb of Wylie. Let me tell you, buying a home in the Dallas area is NOTHING like buying one in Iowa! 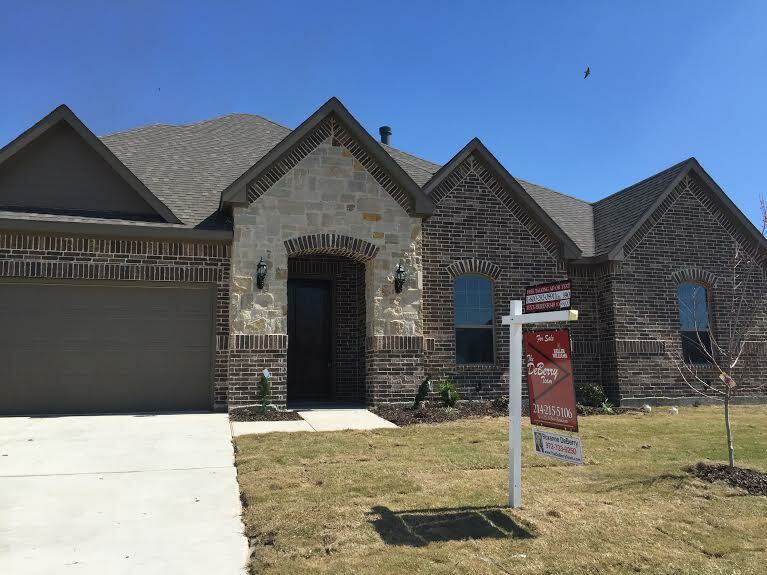 With 3 or more major corporations moving into the NE Dallas area in the next year or two, the housing market has exploded and it is most definitely a seller's market. I can't count how many times I've been told horror stories about people being outbid by 10% over asking with cash offers! We were super lucky to spot this particular listing as it went up, on a Friday, before pictures had hit the MLS or internet sites. The way things go down here, there's just no waiting until pictures are up. If there's even a slim chance that the house will work for you, you had better go check it out! Of course one major challenge for us was finding something that wasn't in an HOA. Unfortunately, the city of Plano (where we live now) is almost completely built out, and while its a great city to live in, any new construction will be in an HOA and the existing homes are so expensive, there's just no way we could make it work, so we started looking outside the area. Lots of the little towns to the East of the metro are especially appealing; they're close to major roads so not too far from the action closer to downtown, but they're far enough out to be quiet and more importantly, cheaper. Also, some of the towns are pretty old so there's a lot more options that are not constrained by our HOA requirements. Anyway, back to the house in Wylie. We saw this listing and we were shocked because it said it was built in 2015 and in a neighborhood we have driven through many times called Watermark. Other Watermark branded neighborhoods are your typical HOA havens with huge lake features and pools and so-on, but this one is out in the sticks, right on Lake Ray Hubbard. Intriguing but how is this place not in an HOA? We drove out a few minutes before our Realtors arrived and while we were peaking around the lot, admiring the amazing houses on the block (all new within the last couple years mind you), the neighbor came over to say hello. As we talked, he revealed that there were 10 lots in the neighborhood that were not subject to the HOA, and that we were standing on one! We were shocked. A brand new house, surrounded by an HOA, but not in the HOA. A new home is something we had never expected to find, but there we were, looking at one. And sure enough, this was the one. We put in an offer that day. Then we had to wait for the title company to do their thing and pull all the restrictions and stuff. I thought for sure something would come back "NO ANTENNAS" but our fears were lifted as I read through the 202 page HOA documentation. Sure enough, there's the 46 lots that the document applies to, and ours isn't there! Of course they make sure to tell you that there's a formal way to join the HOA if you wanted to.... but who would do that?!?! I couldn't believe we were in the clear. (something interesting to note, the HOA CC&Rs do actually allow for an antenna, as long as it is not visible from the street, which is far less restrictive than I've seen in similar write ups before!) The only restrictions I'll have to deal with are the city of Wylie which has a 75' limit for towers and a special use permit requirement. I was only hoping to do about 40' anyway so the height limit is no issue though I suppose we will see how the permitting goes. In the mean time, I think I'm going to try to go with a vertical while I gather up the pieces for a respectable tower over the next year. We don't close for a few more weeks but baring anything extreme, we'll be moved in before Summer and I'll be back on the air in no time! In the mean time, its planning and more planning, and waiting. I've got some great ideas for the new shack and I'm eager to get back into building and tinkering and all that stuff.